Father Arno Moriani aka “Beefcake McHunky” here, for the third and hopefully final time. After weeks of dull, seemingly endless searching, my quest might finally be over. Oh, it wasn’t easy, not with interface-induced nausea and crippling boredom at every turn, but don’t worry, my children, after being a no-show for almost the ENTIRE GAME, I have finally found Dracula, the fanged wonder himself. From the very start, all the way back in Part 1, the marked lack of vampires in this game was extraordinarily frustrating. It’s like showing up to a place called “Bob’s Belly-Busting Beef Burgers” and then finding out they only serve salad. At least in the final installment, Dracula, the man of the hour, finally makes an appearance, although he gets less than five minutes total gametime. In fact, the vast majority of this third chapter is much like the first two, namely lots and lots of wandering around. The environments are as detailed and moody as ever, but the dizzying 360 degree views really start to set in vertigo after awhile. Happily, there are a few new locations and characters to interact with, so it feels less stale than the second part, and most of the dialogue scenes are blessedly short, so the crummy voice acting is kept to a minimum. Rather less fortunate are the puzzles, which I found surprising. Part 3 features several more puzzles than found in previous chapters, and ordinarily I would have seen them as a welcome change from the usual walking tour of Transylvania, they’re also considerably more difficult and require an iron-clad grip on the previous chapters and headache-inducing leaps of logic to complete. There is absolutely no way anyone would be able to play Part 3 without having played the first two installments and have any idea whatsoever of what is going on, and even having played the earlier two, it’s still a considerable pain. This was the first time I needed to consult a walkthrough to muddle through the increasingly convoluted puzzles. All three parts of Dracula: Path of the Dragon were modified from an existing PC game, of which this is the third game in the series. I point this out because it wasn’t until the third part that I realized how truncated the game is. 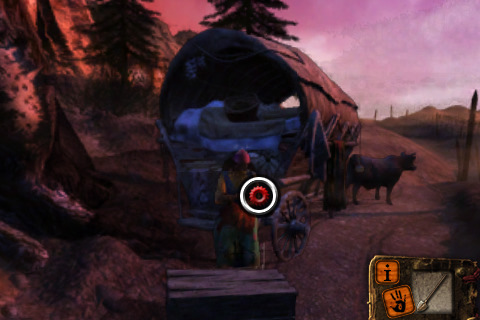 Large portions of the PC game have been cut out from the app version, but bits and pieces of the deleted puzzles remain, resulting in an inventory stuffed with items that have no use. I had assumed that many of the items I’d encountered in previous chapters would have a use in the end, but instead I was just frustrated, annoyed, and left with a bad taste in my mouth. Having finally completed the game, I can say that the first two parts are merely a plodding and bland lead-up to an equally disappointing ending. Although the game looks good and a lot of care has gone into giving the game a detailed pseudo-historical background, the general action and story are just a mess and not worth the investment. 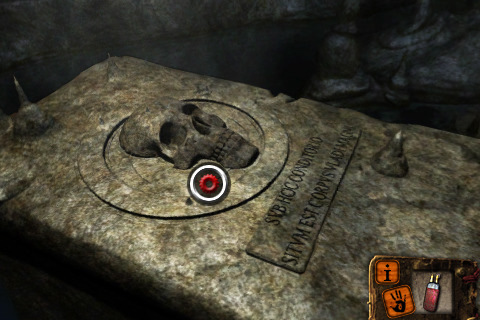 AppSafari review of Dracula: Path of the Dragon – Part 3 was written by Tracy Yonemoto on October 25th, 2010 and categorized under Adventure, App Store, Games, iPad apps, Puzzler. Page viewed 5123 times, 1 so far today. Need help on using these apps? Please read the Help Page.